AnCO made the selection of the Supervisor from a panel of applicants and the work got under way on a cold and frosty Monday morning. Because of the requirements of AnCO, the work on hand and the need for close liaison between the Community Council and the Supervisor a sub-Committee was appointed by the Community Council to monitor and handle the day to day issues that arose on site. The Sub-Committee was; Fr. Pat O’Brien, Jimmy Laffey, Pat Joe Laffey and Gerry Costello. Pat Joe, being the only person who would be available on a daily basis, took on the responsibility of being on hand as required and, true to his word, was always there when required and always made sure that material was on site as needed and problems were resolved and dealt with promptly. He made a difficult job easy because it was well done as anyone who knew Pat Joe knew that there were no short cuts taken of half measures given. He was totally dedicated to the work and freely gave of his time, experience and knowledge even if it meant neglecting his own work. Indeed this was true of the whole committee who were available early in the day, late at night and even on many Sundays as the project required. Decisions were often made that were often unpopular, even to members of that Sub-Committee, but all were made in good faith and for the good of the community as a whole. Anything that could be salvaged from the old building was put up safely for re-use. Re-cycling was the order the day before it became a popular buzzword. Many of the internal doors were salvaged from the pull-across partitions that were in the old building. All of the internal door frames, skirting board and architrave were made in Michael Bellew’s workshop in Woodlawn from the two large beams that were across the hall supporting the pull-across partitions. 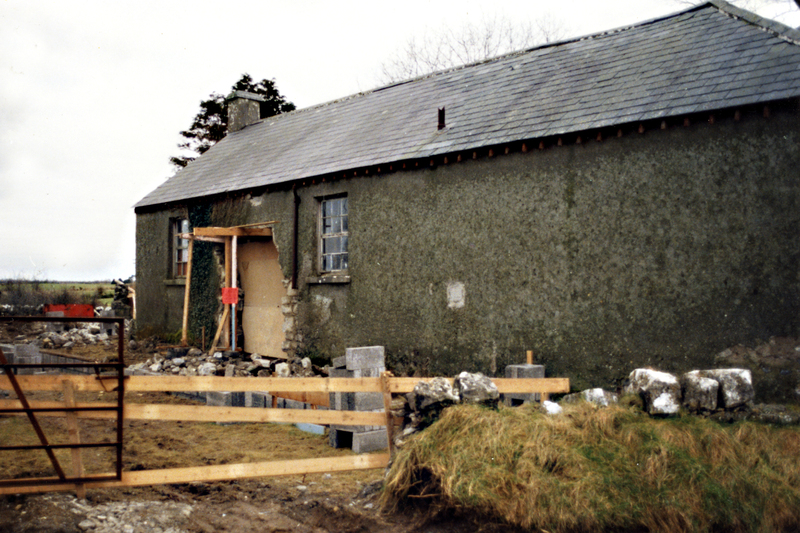 The windows were also cut out in his workshop but assembled and put together on site by the trainees, as was the kitchen and fireplace surround. The fireplace, itself, was cast on site in a mould made from some of the old panelling from around the old walls. All of the light fittings throughout and floor tiles in the kitchen were bought at a token price at the time. The late Harry Mellody donated the tiles used in the toilet areas. I love your site. 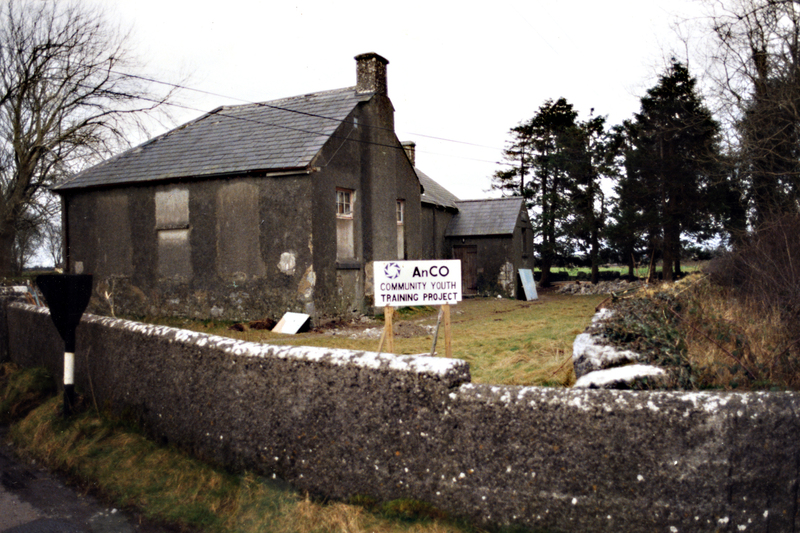 I often pass by this centre on my way to Galway.